Achieve head-turning hair with the Yes To Cucumbers Volumising Shampoo. Designed to deliver enviable volume, the shampoo is ideal for fine, flat and lacklustre hair types and will leave locks boosted and healthy looking. Enriched with Cucumber, the cleansing formula works to strengthen each fiber and leave hair soothed, whilst Aloe Vera delivers moisturising properties that gently hydrate the scalp. Expect thicker looking hair that is cleansed, volumised and shiny. Massage a generous amount into wet hair and rinse. The volume is coming. 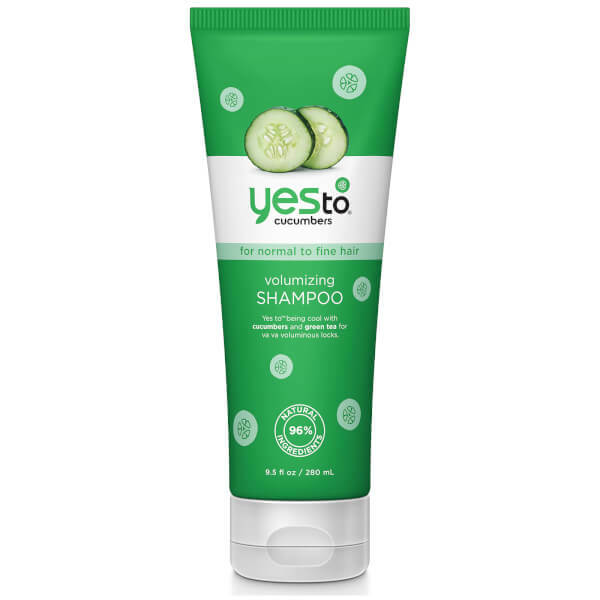 For best results, follow with Yes to Cucumbers Volumising Conditioner.